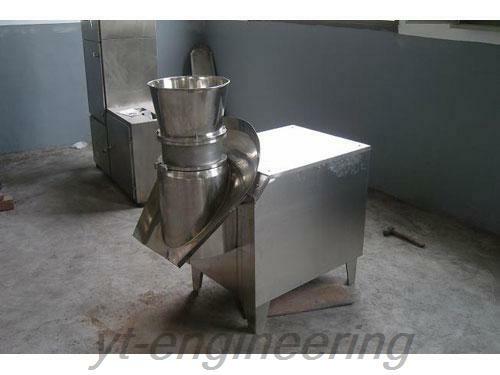 XL rotary granulating machine adopts one pair of rotating grinding blade to grind liquid material into column-shape granule by stainless steel sieve cylinder. 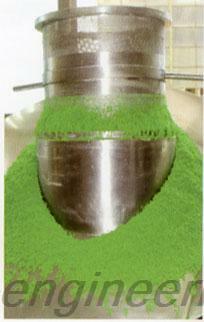 Different sizes of pellets can be produced by replacing stainless screen cylinder. 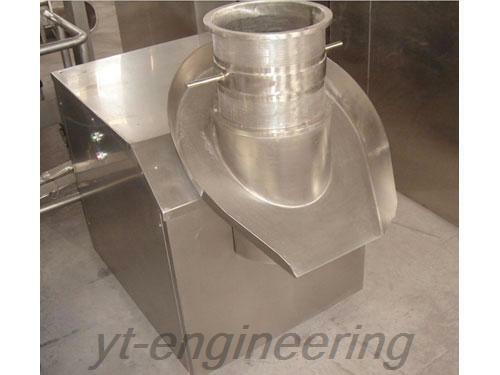 All material contact parts of rotary granulating machine are made of stainless steels. 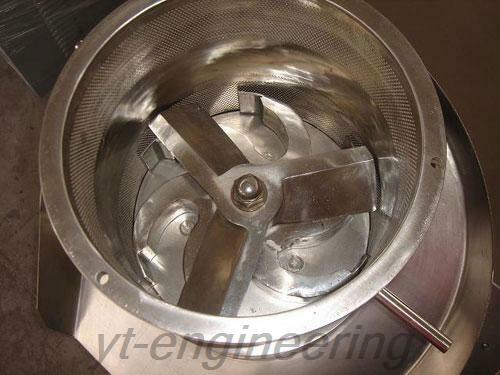 Rotary granulating equipment avoids particle breakage by artificial discharge and is applicable for flow process. 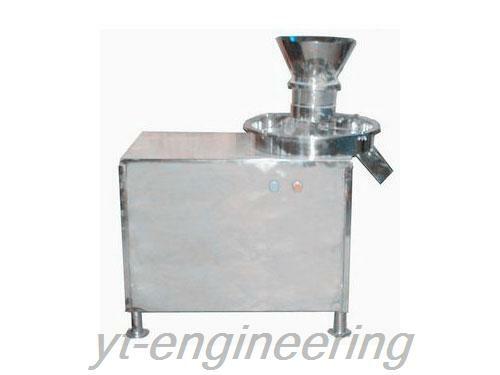 XL rotary granulating machine is broadly used in pharmaceutical, food, powder, chemical and solid drink industry. This rotary granulating equipment is especially suitable for high viscosity material such as aspirin granulation, organic fertilizer granulation and composite VB2 film granulation. 1.It is beautifully shaped, reasonably structured with highly granulating rate. 2.The finished particles are good-looking and discharged automatically. Note: Due to the variations in material, production in the table is for reference only. 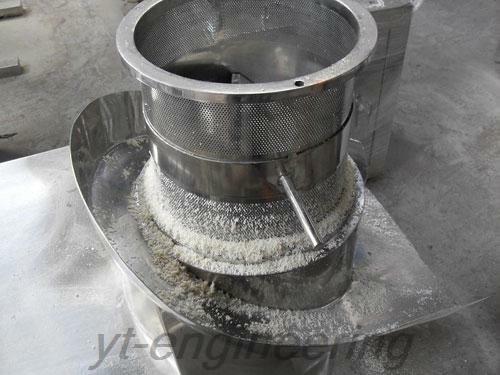 Over the years, Yutong is devoted to the development and production of rotary granulating machine, drying equipment, grinding machine and mixing machine. We emphasize scientific and technological innovation and cooperate with many famous colleges to develop new products. Yutong has obtained the ISO9001 international quality system certificate. 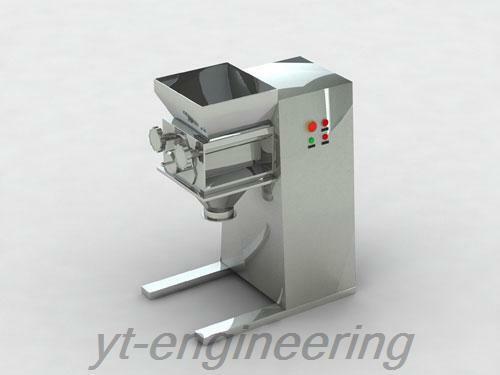 If you are interested in rotary granulating equipment, grinding machine, mixing machine as well as other equipments, please feel free to contact us.